When I was last in Japan I wrote a series of blog posts on foreign reporting about this country. (1, 2, 3) At the time I was interested in the rather mundane matter of how individual reporters or their sources might spin a real problem and selectively exclude inconvenient facts. But after I left Japan in mid-2013, the problem of spin very abruptly ceased to matter. I don’t really mean that it ceased to matter to me. Certainly, I’m still annoyed with one-sided reporting. But there is now a much larger problem at hand. The daily petty crimes against journalism on the streets of Öffentlichkeitburg have rather lost their relevance as the city is being actively destroyed by Godzilla. Or, to be really precise in my metaphor, a kind of katamari thing that keeps getting bigger and bigger and rolling everything else into itself. The poor people it sweeps up may try as hard as they can to put both feet on the ground, but it is no longer possible. They are not putting a spin on the world; they are the ones being spun. With that rather ambitious prelude, I have a new Japan reporting story to tell. I don’t know how many of my readers have heard about the Japanese guy who spent over a year living entirely off contest winnings, so if you aren’t familiar, check out the story of Nasubi. This was an interesting story when I first read it around 2004, but 2014 has a very different take. To be specific, he was made the subject of an episode of This American Life. Act One. I Am the Eggplant. This book is about the life of a French academic who cares about almost nothing except the 19th century writer Joris-Karl Huysmans, but who discovers that the spark he inherits from Huysmans is snuffed out by the reality of 21st century France. Although he ends up converting to Islam, and despite Houellebecq’s grumbling about Islam in public interviews, this book is not an analysis of Islam at all, and people looking for one will be disappointed. It contains elements of a political manifesto, but attributing some viewpoint to Houellebecq would eliminate the psychological crux of the narrative. Islam is neither the disease killing France nor the magic potion to cure the narrator. Islam is simply a reality happening in France. Whether it becomes a comfortable or uncomfortable reality, a Self or an Other, is the decision of the milquetoast narrator and millions like him. Tens of thousands of intelligent French people have converted to Islam (far more than in England). So why a novel, rather than a biography of René Guénon? This is a question that unappreciative reviewers who zip through the book finding nothing unusual about it need to ask. Why is the narrator so normal—and why is he so abnormal? He keeps on talking about Huysmans. “Well,” says the putatively leftist reviewer, “he’s a Huysmans specialist. That’s his job.” But what is a job? The narrator François is propelled around the country by Huysmans; he wants the religious conviction that Huymans had. It’s more than just a job for him. Who cares? Well, this question itself is the problem. Is Huysmans not of the West, and is the narrator not of the West, and are we not of the West? How is it that Huysmans became a moldy old “object of study,” and the narrator an alienated professor, and the reader segregated from both of them? How did this strange “normal” way of relating to literature arise, and where did our commonalities go? Houellebecq wants us to be confused by the narrator’s alienation, as much as the narrator is confused himself. He does not want to give us a sociological study about some object of research; he wants us to feel that we need to examine ourselves, that something has gone wrong. François is free from some of the illusions of his generation. He recognizes the illusory nature of money. Money is a means to get what you want; but what he wants is the consolation and intimacy of books. He recognizes, too, the illusion of free love, and is bemused by how women seem to brush past him, guided by something unwritten (et d’autant plus puissant qu’il demeurait implicite) to drift from person to person without lasting bonds. Throughout Houellebecq’s novels, modern society encourages voracious sexual appetites, so that the sexless are forced to participate as well. François is more mundane than sexless, but one gets a feeling that he ought to be able to rise above shallow relationships. But he is penned in by some strange limits imposed by “libertine” society. Despite his ability to appreciate Huysman’s intimate portraits of the inner lives of men and women, he finds that he is unable to articulate his own inner life in conversation (car les conversations sur la vie intime ne font pas partie des sujets considérés comme admissibles dans la société des hommes). Pre-modern literature, by giving him a taste of truth, has ruined his life, since he cannot share that truth with others; at the very least, his girlfriends do not care, and he cannot conceive of a willing audience. Thus François becomes a prototypical Houellebecqian protagonist, locked into a sinecure and unable to form close personal relationships; “un pauvre type”. A solitary existence, living in a world that was nothing but him and Huysmans, gave him some respite for a time. But now he is thrust into a world he does not want any part of: the 21st century liberal arts academy, its disconnect from the meaning of literature, and its endless, circular obsession with what is strangely called “identity”. Immediately, without even bothering to describe the narrator’s politics, Houellebecq gives us three conflicting images: a discussion of a university president practicing identity politics (gender studies) and a Ph.D. candidate’s thesis on the “identitarian” movement, right in the shadow of the Grand Mosque of Paris. What is an identity? To some, it is a political battle cry. François feels no such thrills. He can write about his literary passion, but his writing can neither change the world nor reveal his authentic frustration, as in some of Houellebecq’s prior novels. Identity politics is not his thing; but he cannot escape the ground shaking beneath his feet. His Jewish girlfriend suddenly leaves for Israel. Neither the “identitarians” nor the Muslims represent the France she believes in. But what is that France? One English review has already commented on François’ self-pitying words, “There is no Israel for me,” but I also liked his girlfriend’s confused attempt to find a heritage she can claim: “J’aime la France! … J’aime, je sais pas… j’aime le fromage!” There is not only no Israel for François to flee to, there is no France for him either. There is only the after-image of Huysmans, transposed onto an unrecognizable cultural wasteland, where “identitarians” prowl after scraps. To be fair, Houellebecq does not imagine the collapse of civilization. He imagines a peaceful Socialist-Muslim joint government that models itself after Chestertonian Distributism. This is, perhaps, a rather optimistic ideal of what the world like look like in 2022. The new, forward-looking government has solved many social problems by including Muslims in its governing alliance, and it feels like a sorte d’empire romain reconstitué. But as Oswald Spengler said, the Roman Empire only arose when the Republic had been defeated. They may cheer on the name of Chesterton, but the true king of France in 2022 is Spengler, constantly whispering his memento mori into the ear of the newly crowned Caesar (sorry for the mental image). At last the deus ex machina, a guy named Rediger, appears, accompanied by his nubile young wife Aisha, to convert the narrator to Islam; Rediger speaks precisely to François’s insecurities and worries, and proposes that, just like in Histoire d’O, Islam makes it possible for women to submit to men, and human beings to God. Houellebecq is not actually arguing that this is the natural order of the world. In fact, by placing this argument into the context of François’s hedonism, he immediately problematizes it. The Histoire d’O-citing convert Islam that Houellebecq imagines in a half-sardonic, half-nihilistic tone clearly does not escape his criticism. It is not a French Islam, but an anti-French anti-Islam, based on a muddled confusion of both Middle Eastern and Western European traditions. But what is François supposed to do? No Christian or atheist has been able to offer him any hope. Only the East offers the faint glimmering of a road he can walk. Perhaps if he walks it long enough, his lie will begin to seem like truth. The correct response to the end of the book is not despair, or excitement, but pathos. But those who skim the book looking for political arguments to use in their own little battles will naturally not only miss the point, but in fact do damage to whatever remaining value literature has to the Western European tradition. It is the darkest of ironies. Houellebecq’s character François loses faith in Huysmans, because he cannot hope to bring Huysmans to people around him. He burns his past; Islam is his only remaining path. Houellebecq writes a book about this, and the clickbait reviewers of the decayed “public sphere” deny him the ability to really connect with his readers, even as he lives. It is no wonder that Houellebecq has declared himself exasperated with having to promote his book, and as of this week has canceled all future interviews about it. But what of Europe? Earlier in this blog we heard from Nishibe Susumu and Watanabe Shōichi. Now it is time to break out the list of the man himself, Kure Tomofusa, from his book New Techniques for Readers 読書家の新技術 (1987). Kure-sensei sorted his recommendations into categories. Just want to wind things down with a proper conclusion. 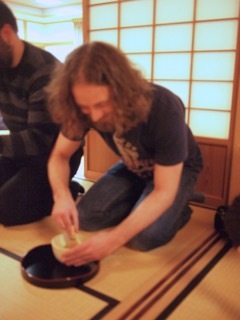 The Kogakkan study program is a truly excellent one featuring top quality classes on Shinto and a lot of hands-on experiences. The teachers are really friendly and open to further discussion, and my supervisor Tamada-san as well as the other supervisors and volunteers were wonderful people who I hope to keep in touch with in the future. I’d recommend the program to anyone stumbling across this blog. Here’s my summary essay (more like a summary blurb…), which is based on a presentation I gave to the school president and many other dignitaries. I think it is important to understand the uniqueness of what foreign students learn on the Ise and Japan Study Program. In particular, I would like to say a word about the lectures and tours offered to us by Shintogaku professors. 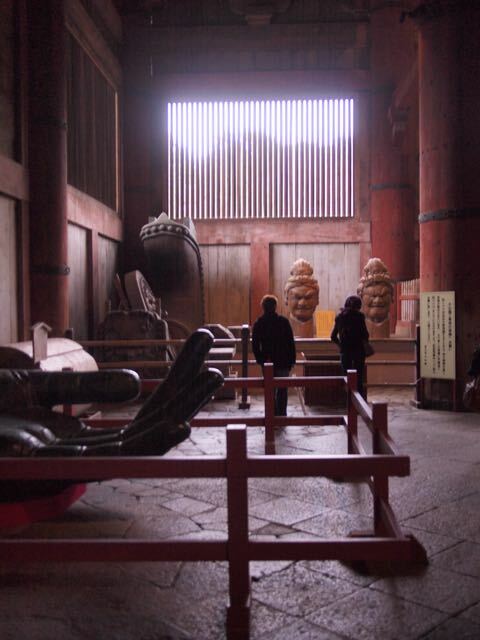 Shintogaku is an approach to thinking about spiritual culture that exists only in Japan. The primary purpose of Shintogaku is to train students to become shrine priests. But Shintogaku professors, through writing books about shrines and educating the general public, also create a common standard for practices at shrines across the country. When Japanese people go to shrines, they know what to expect. In this way, even as shrines are non-sectarian and welcome freedom of belief, they can continue to maintain their traditions for future generations. When foreigners want to read about Shinto, it is very rare for them to run into Shintogaku. It is far more common to encounter the personal opinions of priests, new religious leaders, or foreigners who have been to Japan. Even the authors of textbooks about world religions can be led astray by these opinions. Japanese people may be surprised by what foreigners read about Shinto in English. My experience on this program, and during my other trips to Japan, has shown that true quality in talking about Shinto is best obtained by reading, talking, and thinking about why shrines exist in the way that they do. From the Kogakkan professors who participated on this study program, I learned that Shinto has a very deep and complex history. Shinto has a unique perspective on how to preserve traditions and spiritual culture. Religious studies and theology are ill equipped to confront the types of discussion that take place within Jinja Honcho. In the 21st century, culture clashes, based on misunderstanding of the culture of other countries, are resurfacing and are already the cause of serious international conflicts. This is an important time for foreigners interested in Japan to collaborate with Japanese Shintogaku professors in order for the world to gain a new and enlightening perspective on human diversity. After the lectures today we went to an old-fashioned used bookstore full of extremely good-quality works of history, literary criticism, and philosophy. 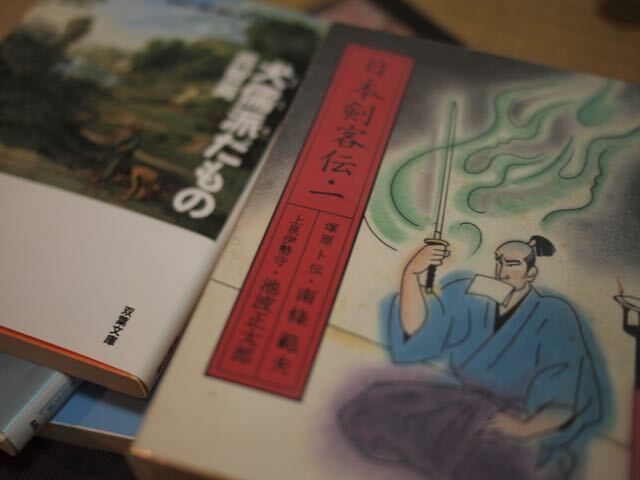 Micchan bought the Heike monogatari, Michael bought a full set of Biographies of Japanese Swordsmen, and I found some nice books by Kure Tomofusa. The owner did not charge me full price for them, even though they were only priced at 400 yen each. I reflected on this a lot as we walked back to the dormitory, and I believe that the only reason he could have done this is because he didn’t care about the price at all, but was simply happy to see so many foreigners interested in Japanese literature. This is a type of interaction that I will never have over Amazon. Without further ado, here are summaries of the three lectures! (1) Why is the shikinen sengū necessary? He asked us to supply answers, and I gave him the standard answer that it’s because the kami like new, well-maintained buildings better than old buildings. He agreed, but then looked very expectantly to the room for another answer. He must have really expected more creativity from us! He then offered to us the possibility that the shikinen sengū teaches us a constant lesson about maintaining our mastery of difficult arts. The shikinen sengū creates something that is “newly old” (新しく古い). 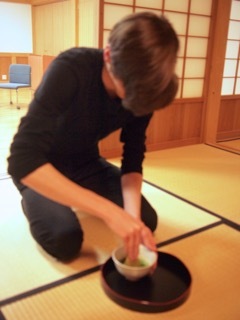 It therefore is a constant renewal and “revival” (甦り) of tradition. These days, the traditional crafts involved are so hard to come by that the implements for the shikinen sengū are often produced by “living national treasures”. But the renewal is about more than just the technology involved. The entire ritual must be constantly in the memory of the shrine priests, and the memory must be turned into action on a regular basis, once every 20 years. (2) When Japan’s era name or nengō system was first introduced, said Professor Shimizu, they changed the name of the era whenever a good omen occurred, such as a great harvest or the appearance of a beautiful cloud. But by the later Heian period, the era was only changed when there was a bad omen, in order to ward off evil. The character of a nation changes with the times. Over the centuries, the Heian court became lax in its observation of the omens, and fell into depravity. Just like ancient Rome, the Heian aristocrats enjoyed endless parties as their political system began to decay around them. The Genji monogatari is a kind of high-water mark in the development of the classical court; a book that could not have been written in the Asuka or Nara periods, but which foreshadowed a decline. (3) Ise is not the only religious institution in Japan that has been operated continuously since Asuka times. The Tōdaiji temple in Nara was built in in the early 8th century and has held a ceremony called shunie 修二会 nearly every year since 752. This year will mark the 1264th annual ceremony, which involves a traditional combination of Buddhist and Shinto rituals. Yamada Yoshio has been dubbed “the last national scholar,” but I believe we heard today from the last prewar scholar, Kogakkan’s director Sako Kazukiyo 佐古一洌. Unlike most of the other professors who spoke to us, Sako-sensei had no PowerPoint. Actually, his entire talk was a series of handwritten notes, and it quickly became evident he had never used a computer. He spoke in the highly educated and chauvinistic style of a prewar professor, which I found remarkably endearing, but also almost completely incomprehensible. In place of an introduction, Sako-sensei shared with us some remarks about being old; he is 74, and as there are over 50,000 centenarians in Japan, he expects to live a bit longer. They are mostly women, though, so he amended this to say maybe he wouldn’t live that long. He said there was a method to beating senility named after the powers of 10. One must do the following every day: read one book, laugh 10 times, stretch 100 times, write 1000 characters (i.e. a letter to a friend), and walk 10,000 steps (一読、十笑、百吸、千字、万歩). To be honest this sounds like a great plan not just for old people but for people of every age. Sako-sensei’s talk revolved around two points: (1) the Japanese spirit of magokoro, which I have written about in connection with the Genji monogatari, and (2) the Japanese tradition of matsuri, festivals. Matsuri is the expression of magokoro, and this is all that ever needs to happen in Japan. Unlike President Shimizu, Director Sako lives in a glorious, timeless state where the Japanese spirit and festivals are not subject to weathering and decay, but have simply always existed, and always will. He saw on television once that there are over 300,000 matsuri celebrated in Japan every year; therefore there are hundreds of matsuri taking place somewhere in the country every day. Contemplating this is clearly a great delight for him. He offered some words in praise of Minakata Kumagusu, who tried to stop the consolidation of shrines and save local chinjū-no-mori ecosystems back in the Meiji period. The origin of these hundreds of thousands of matsuri was in desire for health, long life, marriage, safe childbirth, and worldly success. These are all expressed through magokoro, an honest heart. (Although he criticized the Chinese for encouraging selfish behavior in their philosophy, Sako-sensei’s definition of magokoro is rather Neo-Confucian, as I pointed out in my Genji paper.) Because women more often pray for the success of others, they have more pure hearts than balding old fools like Sako himself; this information came to him via his daughter. But regardless, Amaterasu commanded Lord Jimmu to create a country of people with pure and honest hearts, so it is the duty of every Japanese to avoid la négativité. In this one-hour talk, I am fairly certain that the only loan-word Sako-sensei employed was this one word “negatiibu“. The only thing he wrote on the board was the related phrase 神州清潔の民, “pure people of the divine country”. Modernity was just a bothersome bit of foolishness to Sako-sensei, who whipped out a bit of English skills to quote Lincoln’s phrase “government of the people, by the people, for the people,” then replaced the Japanese word for “people,” jinmin 人民, with what he called its Edo period equivalent, ugō-no-shu 烏合の衆, making democracy the “government of the rabble, by the rabble, for the rabble.” The people of the Edo period had a better goal in mind: self-sufficiency, 自給自足. They were able to produce for themselves (自給), and they felt satisfied with what they had (自足). The complex world of democratic politics and technology is a mere distraction from the essentials of magokoro and matsuri. Sako-sensei had saved the real tear-jerker for the end of his speech: a soaring anecdote about the end of the Pacific War. He was apparently completely unconcerned by the fact that the grandparents of his audience would have been fighting on the opposite side in that war; but in the end this didn’t matter anyway, because I am convinced that, since our Japanese friends were not listening to this talk, no one in the room understood a word he was saying at this point. The majority of his anecdote was a direct quotation of the way people spoke in 1945, which is basically Greek. So if my classmates are reading this and think I must be some kind of genius to have written down the whole anecdote, please rest assured that all I did was write down some misspelled names and dates and found the text he was quoting on the Internet. On August 14, 1945, past 11 PM, after the Cabinet meeting on ending the war had adjourned, I [Hisatsune Sakomizu] entered the Prime Minister [antiwar navy admiral Suzuki Kantarō]’s office, and offered my thanks to him for taking on the challenges of that day. We sat facing each other, and it naturally it was impossible to avoid crying. The Prime Minister sat across from me in pensive silence. Unexpectedly, we heard a knock at the door. We turned to see Army Minister Anami [Korechika] enter with his sword equipped and his hat at his side. I stood and observed from the side. The Army Minister walked directly to the Prime Minister’s desk and bowed respectfully. Army Minister Anami said, “This I too believe.” He bowed deeply and departed. I shall never forget that sight, as long as I shall live. Anami Korechika committed seppuku later that night. But he died knowing that the matsuri would go on. Our last lecture of the day was from Kamo Masanori 加茂正典. He gave us the surprising news that the Saiō system was not the only link between the classical court and Ise. This was actually kind of comforting in a way, because I was wondering who actually was allowed inside Ise between 1300 and 1700. The Saiō didn’t come anymore, and the Emperor never visited… were the shrine priests and miko very lonely in there? In fact there was another imperial messenger, called the Shiō 使王, who appeared even in the Nihon Shoki. Kamo-sensei seemed to have a poor sense of time and spent most of the hour explaining the divination system by which the Shiō was selected in the classical period. We heard that his main duty was to make offerings of silk and thread, but we did not get to hear about the rest of his job. Unlike the Saiō system, the Shiō system continued throughout the Warring States and Edo periods, making it a hallmark 1150-year tradition that ended in… YUP, THAT’S RIGHT, 1871.